I have recently noticed that are a lot more models with a gap in their teeth, which I love and in my opinion makes them unique. 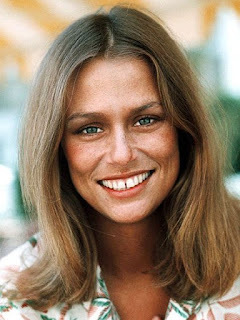 Lauren Hutton in her day was the poster girl for the gap teethed beauties. And these days are a lot of models that make having a gap in your teeth 'cool', Lara Stone, Georgia May Jagger, Jessica Hart, Lindsey Wixon, Ashley Smith just to name a few. Nowadays everyone is obsessed with the perfect smile, but just because you have a gap in your teeth doesn't mean you have to get them fixed, so I hope if you are one of those gap teethed beauties you rock it girl! You don't have to look like everyone else, be unique, be you! Disclaimer- This images were taken from google.